STATEN ISLAND — “A” is for the Alice Austen House, where Staten Islanders Nancy and Chris Benbow first met Advance photographer Bill Lyons. 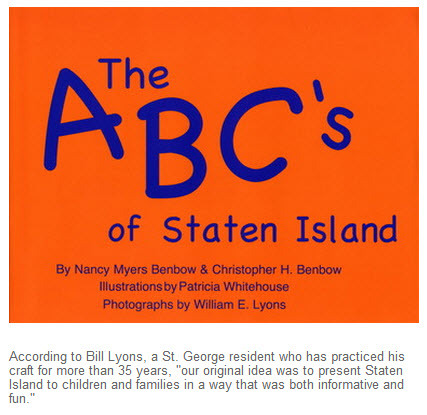 “B” is for the book they wrote together, “The ABC’s of Staten Island,” that features the best of our borough. “C” is for city, as in the Museum of the City of New York, where the collaborators are planning to host a book-signing and reading Sunday. “D” is for discovering Staten Island through the alphabet.